FOR IMMEDIATE RELEASE: Lewiston, Maine (September 29, 2016) – They started their amateur careers at a perfect 3-0, respectively. Now, Fred Lear (3-2) and Ali Zebian (3-3) are both hoping to get back to their winning ways. 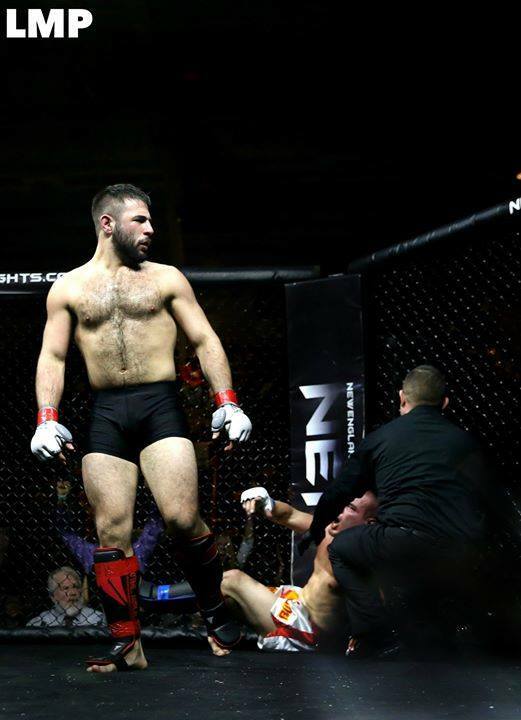 The mixed-martial-arts (MMA) bout between Lear and Zebian will take place on November 4 at the “CES vs. NEF: Supremacy” super-show in Lewiston. The televised portion of the fight card, “CES 39,” will air live on AXS TV. Lear and Zebian will battle on the non-televised portion of the card, “NEF 26,” at the bantamweight limit of 135-pounds. Fred Lear is a member of Young’s MMA in Bangor, Maine. He made his NEF debut at “NEF IX” in Biddeford, Maine in the summer of 2013. Lear would finish two of his first three bouts, with a unanimous decision victory over the always-tough Carl Langston (5-8) sandwiched in between. Lear has dropped his last two, including a title-qualifier to Henry Clark (3-2) last September in Lewiston. He will be looking to rebound from that loss, but he knows Zebian presents a hefty challenge. It is a challenge that Lear welcomes. Ali Zebian represents Fighting Arts Academy (FAA) of Springfield, Massachusetts. He was just 19-years old when he made his mixed-martial-arts debut in 2013. The start to his career was nothing short of stellar. Zebian finished his first three opponents by technical knockout. While Zebian has lost his last three, those losses have been to opponents coming in with a combined record of 8-3-1. He has faced stiff competition, and he will face it once again on November 4 against Fred Lear. Tickets for “CES vs. NEF: Supremacy” start at $25 and are available now at www.TheColisee.com or by calling the Colisee box office at 207.783.2009, extension 525. For more information on the event and fight card updates, please visit www.CESMMA.com and www.NewEnglandFights.com.